Immortality may not be a reality yet, but rapidly evolving technology is making it more realistic, Google's engineering director says. "The life expectancy was 20, 1,000 years ago. ... We doubled it in 200 years. This will go into high gear within 10 and 20 years from now, probably less than 15, we will be reaching that tipping point where we add more time than has gone by because of scientific progress," said Ray Kurzweil. "Somewhere between 10 and 20 years, there is going to be tremendous transformation of health and medicine." 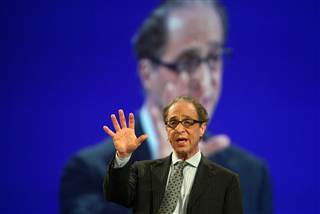 By treating biology as software and reprogramming cells to treat diseases and other ailments, humans have already made tremendous progress in medicine, Kurzweil told the Global Future 2045 World Congress on Sunday.